IDF Confirms: Israel Provided Weapons, Cash to Syrian "Rebels"
September 05, 2018 "Information Clearing House" - The article below was published by the Jerusalem Post On September 04, 2018. It has since been removed and is no longer available as the screen grab below shows. Thankfully the article was archived here and is reproduced below. Bashar Assad claimed that Israel had been providing arms to terror groups and its forces had regularly seized arms and munitions with inscriptions in Hebrew. The Israeli army has admitted, for the first time, that it provided large amounts of cash, weapons and ammunition to Syrian rebels in the Golan Heights. While the IDF maintains that it was not intervening in Syria’s civil war, on Monday it confirmed that as part of Operation Good Neighbor Israel had been regularly supplying Syrian rebels near its border with light weapons and ammunition in order to defend themselves from attacks and a substantial amount of cash to buy additional arms. 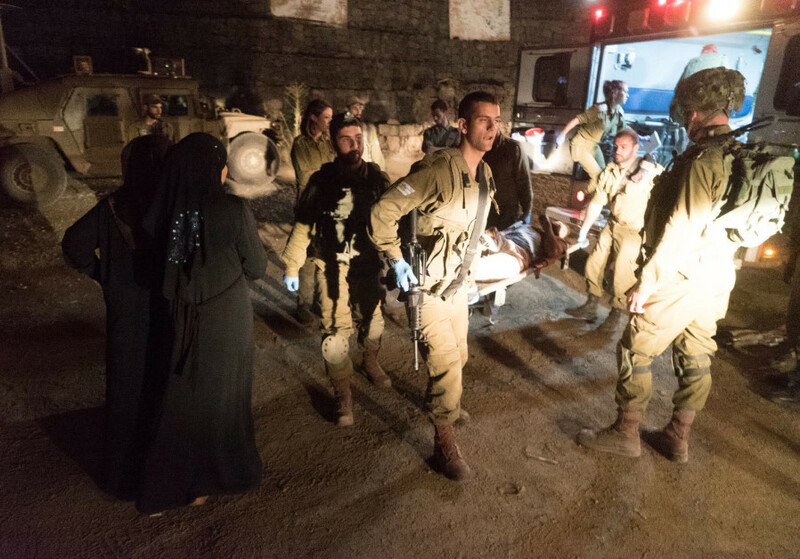 Through Operation Good Neighbor, which was launched in 2016 the Israeli military had provided over 1524 tons of food, 250 tons of clothes, 947,520 liters of fuel, 21 generators, 24,900 palettes of medical equipment and medicine. Reports first surfaced of Israel providing arms and cash to rebel groups several years ago, with the regime of Bashar Assad claiming that Israel had been providing arms to terror groups and its forces had regularly seized arms and munitions with inscriptions in Hebrew. According to reports Israel had been arming at least seven different rebel groups in Syria’s Golan Heights, including the Fursan al-Joulan rebel group which had around 400 fighters and had been given an estimated $5,000 per month by Israel. The army believes that the decision to provide weapons and cash to the rebel groups along the border with Israel’s Golan Heights was the right decision. Israel’s aim in providing the weapons and cash to rebel groups throughout Operation Good Neighbor which shut down once the Assad regime retook control of the Golan Heights in July, was to keep troops belonging to Hezbollah and Iran away from Israel’s Golan Heights. The Syrian army, backed by Russian air power and Iranian backed Shiite militia fighters, have been recapturing large swathes of territory and is now believed to have control over 70% of the war-torn country. While Syrian troops have once again been deployed to the border with Israel, in order to prevent an escalation between the two enemy countries, Russian military police have been deployed along the Golan Heights border along with UN Peacekeepers. Israel has warned against Iran’s entrenchment in Syria and has stressed time and again that Syrian soil can not serve as a forward operating base by Iran and that the war-torn country cannot be a waystation for arms smuggling to Hezbollah in Lebanon. While Israel’s military had been carrying out operation against Iranian targets in Syria for several years, it’s extent only became public after an Israeli Air Force F-16 which was taking part in retaliatory strikes was downed by Syrian air defenses in February. Last year Former Israel Air Force head Maj.-Gen. (res.) Amir Eshel stated that the IAF carried out 100 airstrikes in Syria over the past five years. On Monday the military announced that in the past year and half alone, Israel has carried out 202 strikes against Iranian and Hezbollah targets in Syria. IDF has forced the Jerusalem Post to remove its explosive report on the Israeli military giving weapons to the Syrian rebels, the newspaper’s managing editor confirmed to RT. “We were told by the army’s military censor to remove that part of the story,” David Brinn, the managing editor of the Jerusalem Post told RT as he replied to a request for comment. The report, ‘IDF confirms: Israel provided light-weapons to Syrian rebels,’ which claimed that the Israeli military acknowledged for the first time that it had provided money, weapons and ammunition to the Syrian militants, was removed just hours after being published without any explanation. According to Brinn, the story was removed “for security reasons evidently.” The IDF told RT that it would not comment on the issue.